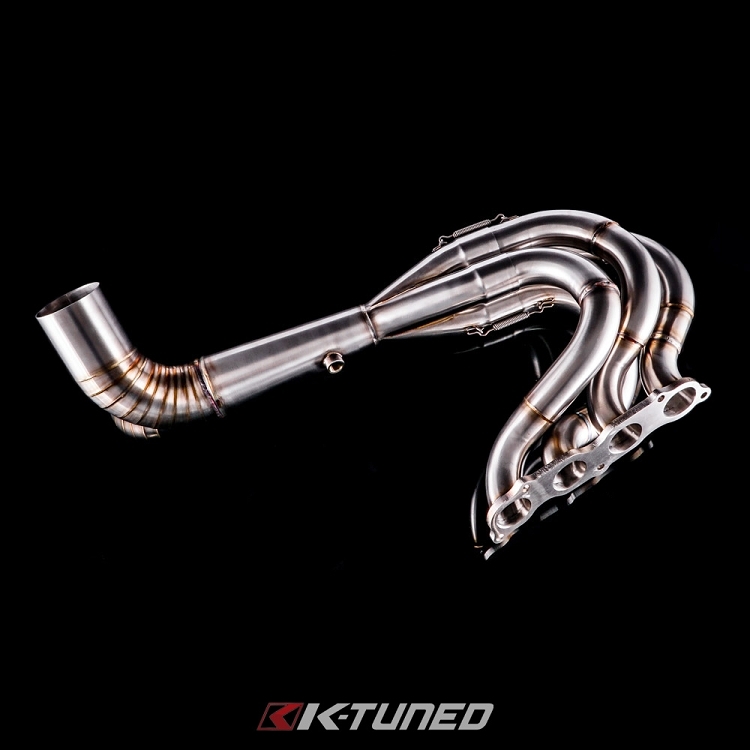 The K-Tuned Lean Header was built to provide all out top end power, using a proven performance header recipe. Starting at the head flange, equal length stepped primary tubing is used to get the exhaust flowing quickly into the massive 48mm primaries, which move up to 50mm, then to 54mm. To ensure a super smooth transition, the tubes meet up in a true 4-1 merge collector with a 65mm (2.5”) exit. A megaphone is added next, to release pressure and increase the speed of the exiting exhaust gases. A small reverse cone is placed at the very end to provide a tiny bit of wanted back pressure. Hiding the small reverse cone, a 90 degree 88mm (3.5”) pipe turns upward and is made with a series of pie-cuts, to help make the tight radius turn for the hood exit possible. The K-Tuned Lean Header is precision tig welded and is constructed entirely of 304 stainless steel. It currently fits the EG, DC2, and EK chassis with Prayoonto and Hasport Lean Mount kits.